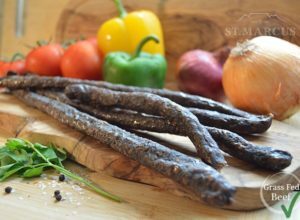 Our Succulent Venison Droëwors is made from a fragrant blend of quality herbs and spices. This enhances the rich flavour of the exotic Game minced meat. 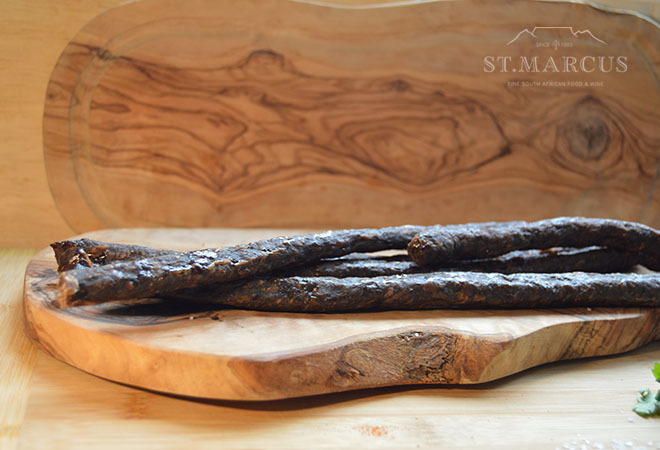 The story of our Droëwors goes back well over 30 years. Butcher, Emory St. Marcus recognised the longing for home delicacies among the large South African community living in London. 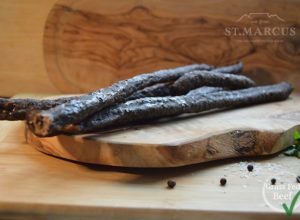 So, with a recipe in hand, he set about developing the first authentic range of Biltong, Droëwors, and Stokkies. By using only the finest meat and an aromatic blend of herbs and spices, he created multi award-winning produce. What started with a core range of traditional beef products, later turned into a range with a number of flavour combinations. 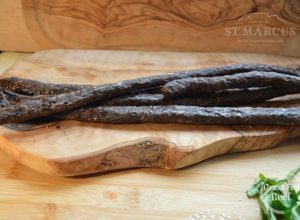 It was when the St. Marcus Team first had a shipment of game meat, that we thought ‘Why not?’ and created our Succulent Venison Droëwors.